Description: Come and join in the Easter Egg Hunt! IT’S FREE! Local retailers in the Rosemount area are getting together for our annual Easter egg hunt. Local schools and nurseries in the community will be decorating eggs to be displayed in some of the shops. Grab your activity sheet from one of the cafes and get hunting! Find a decorated egg in the shop window and get a stamp. Once you’ve collected your stamps pop over to the Rosemount Community centre and claim your prize! Our Sainsbury’s local have very kindly sponsored prizes for the event. The Rosemount community centre will also have Easter themed art and craft activities for the kids to participate in too from 9.30-12.30 on both days. Description: Join Aberdeenshire Council Ranger Service at Haddo Country Park to learn essential woodland and camping skills, or to improve on your existing skills. Each session will have a range of activities (some weather dependent) but could include tarpaulin set-up/take down; knots and ropes; basic knife skills; saws and other hand tools and the Scottish Outdoor Access Code. Sessions cost £5 per child, paid in advance. Please book by emailing Suzanna on vsohaddo@gmail.com The activities are suitable for children of seven years plus and all children must be accompanied by an adult. Younger children may come along but may not be able to take part in any/some activities. Description: Join the rangers and see what the birds are up to at this busy time of year. Could you make your own nest and find lots of tasty food for your chicks to eat? Come with us to find out. Find out who has been about in the park as we look for clues of animal fur, food, prints and poo on a short walk (up to 2 miles/3km), including checking squirrel feeder boxes to see who has visited. We will also see what has been caught on camera traps set up previously. Meet at scout hut car park. Under 16’s must be accompanied. Bring outdoor clothing suited to weather, stout footwear + if you have them, binoculars. N.B. Unsuitable for anyone with severe peanut allergy (i.e. reaction to being in close proximity). Event organised in partnership with Saving Scotland’s Red Squirrels project. Booking essential.Each public event costs us on average £3.13 per attendee. If you would like to make a donation to Aberdeenshire Council, we accept cash on the day or contact ranger.service@aberdeenshire.gov.uk or 01467 534333. Any donations made would be most welcome. Thank you. Description: A fun free group for dads/grandad’s/father figures plus their kids aged 0-11 to socialise, eat and play. Description: Spring is finally here and we can’t wait for our Easter edition of the Thistle Street Food Market! Come along with your family or friends to discover some of the best local producers in the North East, offering up some delicious food and drink for you to enjoy! Stalls will be confirmed soon so keep checking back here. Description: Spring into our Eggstravaganza party where your little chicks can have some Easter fun with egg rolling, spaghetti nests and lots of CHOCOLATE! Little ones can squelch, pour, mix and get messy till their hearts content! So get prepared to get messy and have fun, and leave the cleaning up to us! Description: A fun, free session suitable for all the family. Come along and listen to stories and join in with songs and rhymes. Description: As part of the Great British Spring Clean 2019 Thomas wants to finish the job be started at the River Dee behind Sainsbury’s Garthdee. In February we removed 18 bags plus extras from the area but that was just the tip of the iceberg! The whole area between Sainsbury’s and Boots next to the the Bridge of Dee is full of careless litter just waiting to be blown into the Dee and our to sea…. Thomas want to stop this but needs your help. Description: To promote our awesome new term and classes, we are gonna host some fun in Duthie Park. Hang out listen to great tunes, see what we are all about! This 2 hour workshop held in Geek Bothy will show you how to texture clay and shape it into a door for a fairy garden, along with creating spiral patterns. The door can then be decorated with flowering bushes. We will then make mushrooms, either singly or in clumps with colours of our own choice. Made from polymer clay, the doors are suitable for both indoor and outdoor fairy gardens. Description: This class is created to guide kids to Design & Paint their own Ceramic Eggs Money Box (choose from Unicorn Egg or Conventional Egg designs when booking your space). Suitable for kids 6-12y/old. Parents are welcome to stay or leave during the class, however we appreciate your decision being made on their ability to work independently and following the guidance. The class/session is approximately 1,5 hour up to 2 hours long. Please allow a couple of 10 min breaks during our session. All materials included in a price. Please be aware that the work would need careful treatment 6-8 hours after the end of class to allow paint to set. Additional instruction will be given to those who would like to have it oven-baked. Therapeutic art can be described as creative and expressive form of therapy. The therapeutic creative process of self-expression can improve one‚Äôs physical and mental health. It will also make an impact on our emotional well-being. Description: Residents of the rock pools need to be tough where life is constantly changing, and every tide may bring in new arrivals. Join a Countryside Ranger at Cove for an opportunity to explore the rock pools, meet some of the rock pool residents and create some wild beach art. This is a family friendly event all children under 16 must be accompanied by a responsible adult. Please wear wellies or sensible footwear and dress for the weather. Description: The whirlybird can’t fly like the rest of the birds. It’s clumsy, loud and doesn’t like straight lines!For the whirlybird everything happens in circles and twirls, flips and tumbles, but it longs to be part of the flock. A graduation parent and toddler exercise class working on muscle strength/endurance and cardio fitness for varying fitness levels, it is the next level up from the current mama moves and strong mama classes. Whilst still working on moves to improve parental agility and strength for life and injury prevention, it will be a little more challenging than its predecessor. fully from birth and have already gained some strength back, it will also be open to dads and toddlers. So if whole families want to come along get involved! 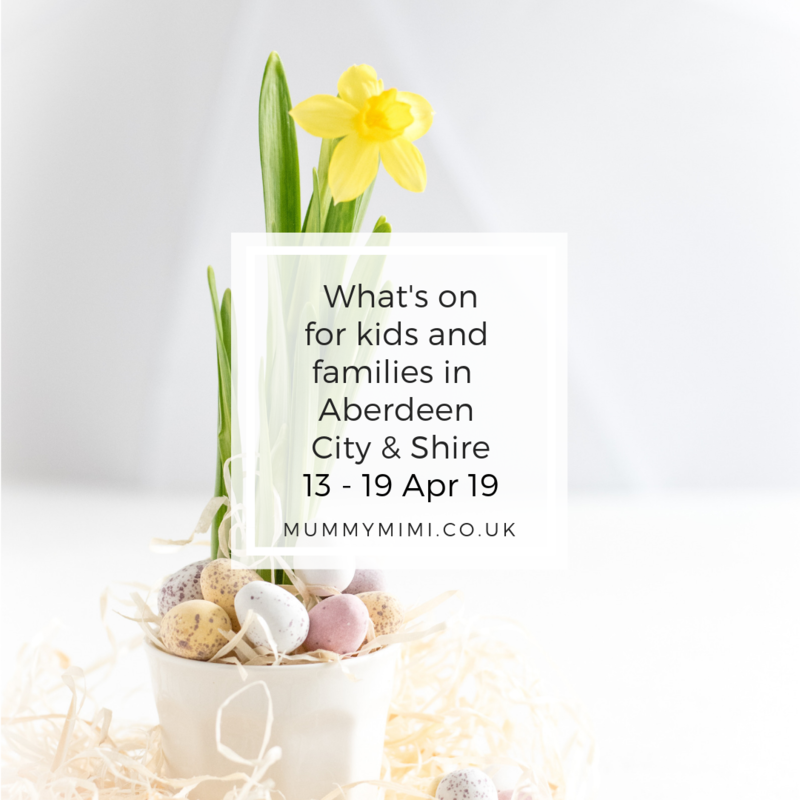 Description: Let the kids have some fun on the last day of the holidays and join us in Kirkton of Skene for our Easter trail. Follow the trail, answer the clues and win a treat at the end. Please email vsohaddo@gmail.com to book. The session is £5 per person including hot drinks and a biscuit. What foods can the forest supply and what might our distant ancestors including the Colonists who lived on Bennachie have eaten? A short walk with the Aberdeenshire Council Garioch Ranger and Forest Enterprise Visitor Services Ranger to look at some of the spring edibles that can be found in the forest. This time of year is great for fresh salad type leaves. Edible plants that are not yet in season, foraging etiquette and possible uses and recipes will be discussed. Family event, all children must be accompanied by an adult. Dogs welcome but must be kept under close control at all times.Forestry Commission car park charges apply.Each public event costs us on average £3.13 per attendee. If you would like to make a donation to Aberdeenshire Council, we accept cash on the day or contact ranger.service@aberdeenshire.gov.uk or 01467 534333. Any donations made would be most welcome. Thank you. Description: Drop in session for babies up to pre-school age. 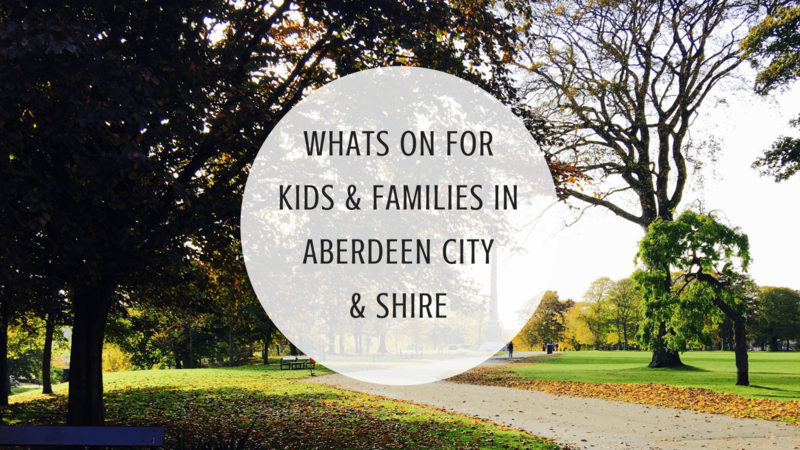 Relaxed and informal session where parents/carers can have a chat and watch kids play. Description: Relax Kids for smaller children, best suited for children aged 3-5 years but all children welcome. Each fun 45 minute session is themed differently and teaches the Award Winning Relax Kids 7 steps to help children learn to self-regulate. Each session includes; dance and movement, singing, relaxation games, yoga, gentle peer or parent massage, positive self-talk and story visualisation. With regular practice of the self- soothing techniques taught; tantrums, anxiety, hyperactivity and sleeping problems can be reduced. Children can also improve confidence and feelings of value. Where: Ferryhill Parish Church, Fonthill Road, AB11 6UD, Aberdeenshire. Description: Friday Fun is drop in group with a variety of activities for babies and kids up to pre-school. It’s £3 a session and as it’s parent-led activities please do help out and get stuck in. Description: We will start off at the church for some play/crafts then move to Albury Park for the egg hunt and games. The park is a short distance away. It is £4 per child and booking is essential. Email kidsatferryhill@gmail.com or message us on Facebook. Description: Bring the whole family together this Easter and treat your loved ones to the magic of our Cadbury Easter Egg Hunt! Get ready for a long weekend of fun as you and your family discover the special places the National Trust for Scotland looks after. Follow bunny’s clues and complete your adventure to win a delicious chocolatey prize. There are two time slots in 2019 (9:30 & 12:00) so we can accommodate more families and make finding eggs throughout the day a little easier. Please buy one pass per car. Description: Bring the whole family together this Easter and treat your loved ones to the magic of our Cadbury Easter Egg Hunt! Get ready for a long weekend of fun as you and your family discover the special places the National Trust for Scotland looks after. Follow bunny’s clues and complete your adventure to win a delicious chocolatey prize! Book now or pay on the day! Description: Easter Bunny hunt, face painting, crafts, and much more. Description: Bring the whole family together this Easter and treat your loved ones to the magic of our Cadbury Easter Egg Hunt! Get ready for a long weekend of fun as you and your family discover the special places the National Trust for Scotland looks after. Follow the bunny’s clues and complete your adventure to win a delicious chocolatey prize. N.B. For those visiting the castle, property entry fees apply to non-members. There will be a trail of hidden clues starting in the Walled Garden and leading you through our woodlands around Pitmedden Garden. Once you’re back at the house, there’ll be a wee surprise waiting for you! Please note: the trail will be sectioned off from the rest of the Walled Garden and Museum of Farming Life. For entry to the property only, usual entry fees apply to non-members. Description: Bring the whole family together this Easter and treat your loved ones to the magic of our Cadbury Easter Egg Hunt! Get ready for a long weekend of fun as you and your family discover the special places the National Trust for Scotland looks after. Follow bunny’s clues and complete your adventure to win a delicious chocolatey prize.